Thanks to a diverse portfolio of challenging projects, Dr. Cutting provides comprehensive insight and unparalleled client service to meet clients’ needs regarding their environmental site concerns. Dr. Cutting’s success in bringing numerous sites to closure and/or compliance with regulations lies in her ability to communicate effectively with the regulators, and her proactive approach in developing the project strategy with budget and schedule in mind. As a mechanical engineer by education (Ph.D. from UC Berkeley) and a civil engineer by training and practice (Professional Engineer [P.E.] in California), Dr. Cutting’s practical and innovative solutions credit her as a clear ally for the client and project teams. As an environmental consultant for over 20 years, Dr. Cutting is well-versed in various types of soil, soil vapor, groundwater, and wastewater treatment technologies, especially in situ remediation technologies. 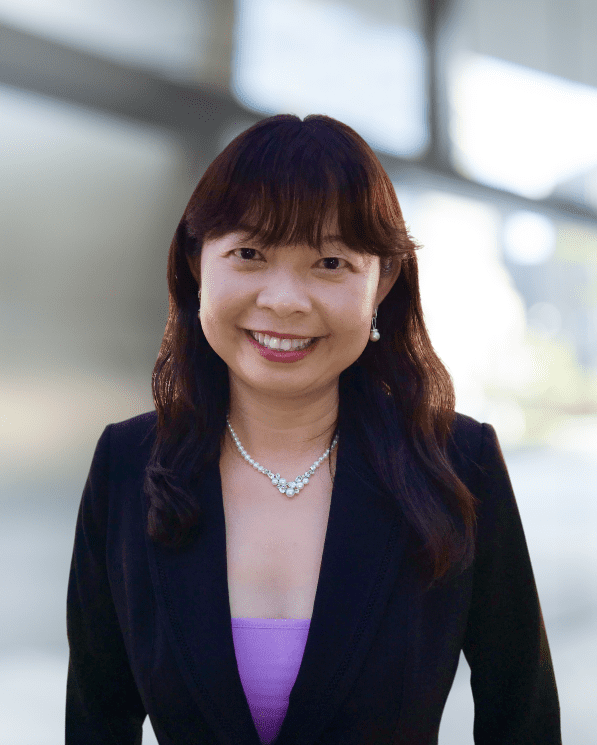 In addition, she has extensive experience in drinking water and process water treatment technologies and has designed, sized, and optimized water treatment systems for potable water use in compliance with California Title 22 Drinking Water Standards. She has also consulted with industrial and municipal clients regarding the impacts of emerging contaminants to drinking water and potential treatment options, including 1,4-Dioxane, 2,3-Trichloropropane (1,2,3-TCP), and PFAS. Chlorinated Solvent Investigation and Remediation: Principal Engineer and Engineer-of-Record for numerous chlorinated solvent remediation sites, including former dry cleaners and former and current manufacturing facilities in the United States and overseas. Utilized various technologies including enhanced reductive dechlorination (ERD) remedial alternative (with molasses, HRC, emulsified vegetable oil, and sodium lactate for different sites) and in situ chemical reduction (ISCR) with zero valent iron based on site-specific conditions. Vapor Intrusion Mitigation: Principal Engineer and Engineer-of-Record for various vapor intrusion mitigation projects for residential and commercial developments in California. Worked with Regional Water Quality Control Board, Department of Toxic Substances Control, and local oversight agencies on the requirements for vapor barriers and/or active/passive sub-slab vapor mitigation systems. Implemented immediate response actions when indoor air concentrations exceeded the action levels. Remediation Program Management: Project Manager and Deputy Project Manager for Presidio of San Francisco and a Refinery Potential Responsible Party (PRP) Group, respectively. The programs involved a wide range of disciplines and services, including site investigations, human health and ecological risk assessments, wetlands and endangered species permitting, soil and groundwater remediation, closure of waste management units and impoundments, light non aqueous phase liquid (LNAPL) assessment and remediation, groundwater monitoring utilizing hundreds of monitoring wells and a sophisticated decision-making model for assessing its results, compliance with hazardous waste management regulations, legal consultations, and public outreach. Managed remedial investigations and feasibility studies (RI/FS), remedial action plans (RAPs), and remedial system design per Comprehensive Environmental Response, Compensation, and Liability Act (CERCLA) requirements; environmental documentation per California Environmental Quality Act (CEQA) requirements; construction documents; and procurements for bid. Prepared and issued requests for proposal (RFPs), reviewed consultant proposals, and documented selection of consultant(s). Potable Water Treatment System for 1,2,3-TCP: Principal Engineer and Engineer-of-Record for designing a potable water treatment system to address 1,2,3-TCP detections above the California drinking water limit of 0.005 micrograms per liter (µg/L) in the two potable water supply wells at the client’s facility. The treatment system provides up to 50,000 gallons per day (GPD) for potable water use. Drinking Water Well Blowoff Management System Design/Build: Principal Engineer and Engineer-of-Record for more than 15 drinking water well blow-off management system for up to 5,000 gallons per minute of discharge under a NPDES permit. Co-Author, Engineering Manual (EM) on In Situ Thermal Remediation (ISTR), US Army Corps of Engineers, Alexandria, Virginia. Co-authored the Steam Injection section of the ISTR EM, which provides guidance and background for the appropriate screening and selection of ISTR technologies including steam injection, electrical resistivity heating, and thermal conduction heating. The EM is intended for use by engineers, geologists, soil scientists, hydrogeologists, chemists, project managers, and others who possess a technical education but only the broadest familiarity with ISTR technologies. “Experimental and Theoretical Investigation of Vaporization of Liquid Hydrocarbon Mixtures from Water-wetted Porous Media,” Water Resources Research, Vol. 35, No. 3, 635-649, 1999. “Evaporation of Multicomponent Liquid Hydrocarbons in Water-Wet Porous Media.” Proceedings of the ASME Heat Transfer and Fluids Engineering, Vol. 321, 1995.